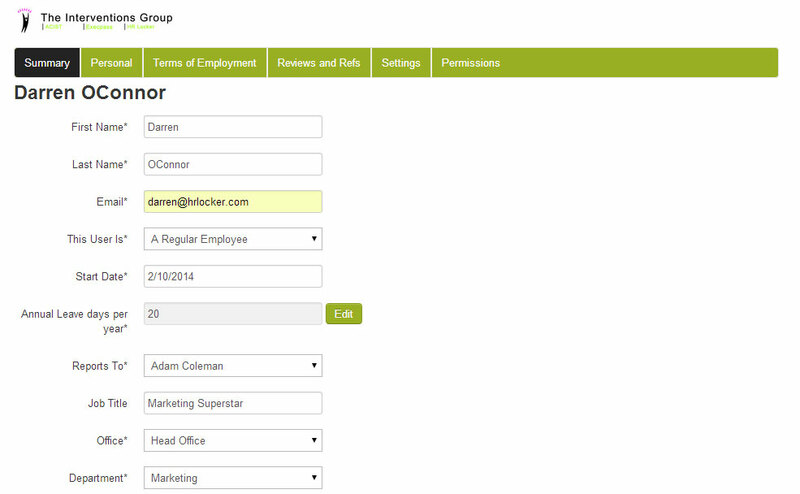 Add employee names and email addresses. Keep your employees details accurate and up to date. Put your employees personal details responsibility into their own hands. Chances are you currently keep records of all your employee records in an Excel or paper file somewhere. Constantly updating these files can be time consuming and often the information isn’t 100% accurate. HR Locker provides you with one safe place to keep all of your information and allow employees to update their own personal data such as their address, next of kin, contact details and their photo. This saves you a lot of time and money by reducing admin chores. Sensitive information, such as salary history and terms of employment is only seen by you or other employees authorised (Geo) by you to do so. It’s possible to upload files and associate them with an employee. This is useful for storing review notes, employees CV/resume and other sensitive information etc.